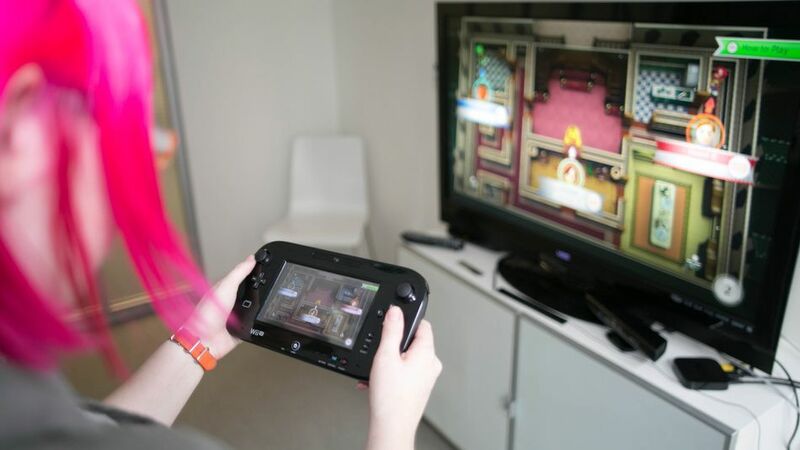 According to the report, the Wii U sold fewer than 3 million units in the 12-month fiscal year ending March 31, which is down from a measly 3.6 million units the previous year. It's a far cry from 2009 when the original Wii sold more than 25 million units. The console was supposed to charm gamers into returning to the iconic brand, however more gaming enthusiasts opted for Sony's Playstation 4, which sold more than 7 million units, or the Xbox One, topping out with more than 5 million units. The two consoles were both released in November. Despite the upcoming blockbuster release of Mario Kart 8 on May 30, Nintendo is only expecting to sell 3.6 million units of the Wii U this year. With 6.2 million units sold thus far, the Wii U won't even come close to touching GameCube's 21.7 million lifetime units sold. 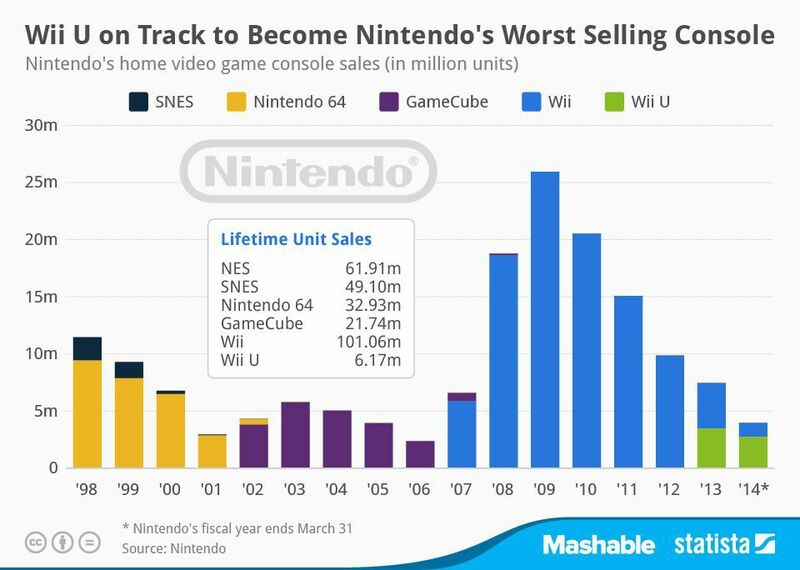 The following chart, created by Statista, shows in further detail the rise and fall of Nintendo home gaming consoles sales since 1998.